Mercedes team boss Toto Wolff has revealed why Mercedes did not appear in Netflix's new F1 series: 'Drive to Survive'. The series instead focused on the sports smaller teams down the grid. 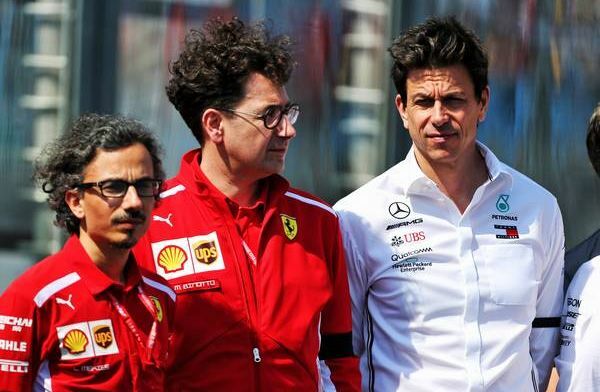 During the Australian Grand Prix weekend, Wolff explained that the decision to not take part in the series was partly due to their rivals for the 2018 world championship Ferrari not agreeing to be a part of the filming process. “We had some good reasons not to join last year,” Wolff told media in Melbourne. “The main reason was that I felt that it was a big distraction and could potentially be a distraction especially also because our main competitor was not doing it. “There is a different environment when you are within your inner circle in the team and you need to protect it, and [then] you have a microphone swinging over your head and a camera pointed at you. medicine.once more contact, whatsApp number, +1 4132390270. Hello everybody, MY IS LOVETH, I don't just know the reason why some people is finding it difficult to believe that there is a cure for, HERPES,HIV AIDS,GET YOUR EX BACK, I have been suffering from herpes since last three years with my boyfriend but today I am happy that am cure from it with the herbal medicine of DR Ediale the great healer, I was browsing the internet searching for help when I came across a testimony shared by someone on how DR Ediale cure his herpes I was so much in need of getting his treatment but after all DR Ediale brought a smile to my face with his herbal medicine. I am so much happy today that we have someone like this great healer out there, so my people out there kindly contact this great healer on his, email address: edialevincentspellcaster.com, please sir keep your good work cause there are people out there who is in need of your healing medicine.once more contact, whatsApp number, +1 4132390270.